I’ve got to pack for ALA, and I will be back later this week, even though I’ll be in Chicago and away from 7-Imp Central (my very messy desk). But I leave you for now, as I head towards my suitcase with the best of intentions (though in reality I throw stuff in there about thirty minutes before I leave), with some art from Leo Lionni’s Swimmy, which received a 1964 Caldecott Honor. 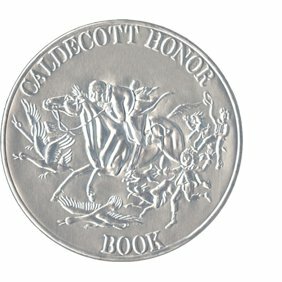 (This is fitting, since ALA will, in many ways, celebrate the 75th anniversary of the Caldecott at the conference this week.) 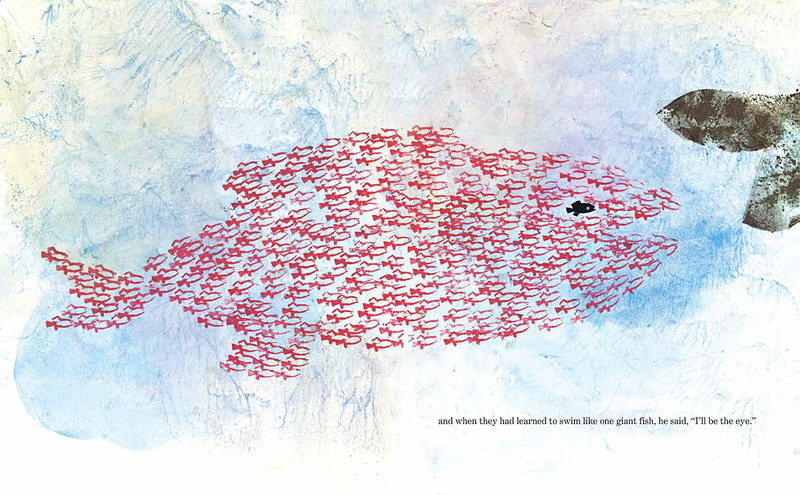 Swimmy was in excellent company that year, what with Sendak’s Where the Wild Things Are taking home the big gold. Like all of Leo Lionni’s work, Swimmy is a magnificent blend of story and graphics. Here, I feel, he has been more daring than ever. Both childlike and sophisticated, the images in the underwater environment glide by like a film across the screen. 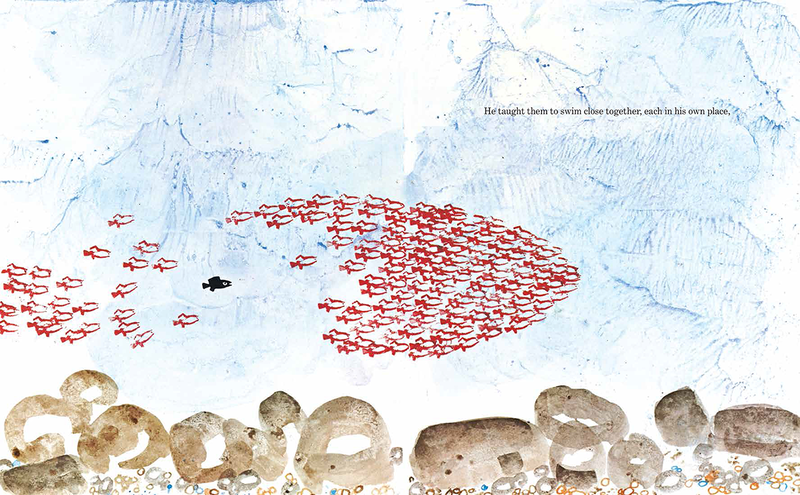 The jellyfish halfway through the book is similar to a potato print done by a kindergartner and is as sophisticated as the best art of our time. … Lionni, ever inventive, using the ornamental edge on a napkin or doily, painted on it and made prints. The joy that Lionni must have felt while doing this couldn’t possibly escape the viewer. SWIMMY. Copyright © 1963 by Leo Lionni. 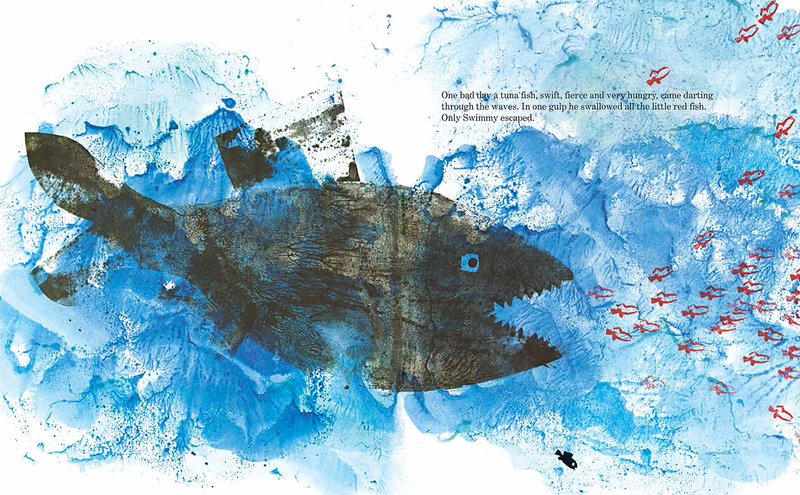 Tribute copyright © 2013 by Eric Carle. Published by Alfred A. Knopf, New York. All images used with permission of the publisher. Fabulous! Thanks for doing this even as you are getting ready to leave. Have a blast at the ALA.